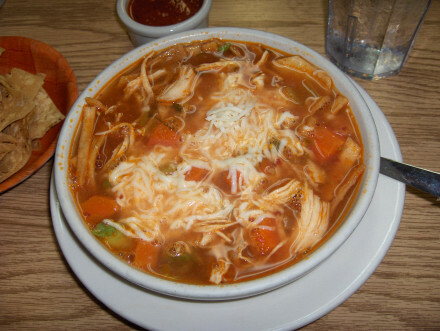 For many years I have thought that while the Mexican food in El Paso is very good, it tends to be only certain dishes at certain restaurants that are the best. Many restaurants did not seem to live up to their potential, and it was very hard to find places where I could say that just about everything they serve is consistently good. I think this situation has now changed, largely because of some of the new upstart restaurants such as Sofi’s. 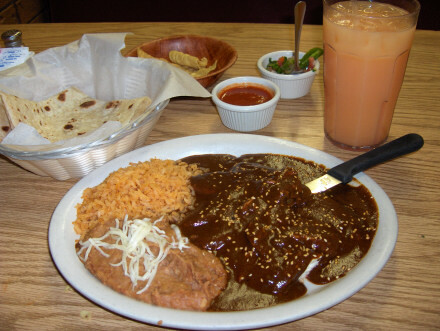 Actually I think the Mexican restaurant scene is returning to the way it was in the 1970’s and 1980’s when I first explored the El Paso Mexican restaurants and found them to be so good I had a hard time imagining why people would want to eat anything else. It is possible that the very good restaurants have been here all along (and I know some of them have been), but now I think they are more numerous and easier to find. If I were to put Sofi’s into the big picture I would say it is a fairly new restaurant (the oldest reviews I can find are from 2015), it is a homey inexpensive place like Good Luck Cafe, but it strikes the balance a little more toward upscale food with a little bit higher prices than Good Luck Cafe. Like Good Luck I enjoyed everything I had on the Mexican plate, but there were some subtle differences such as the cheese and the taco meat that made it better. The chile relleno was possibly better at Good Luck Cafe, though. 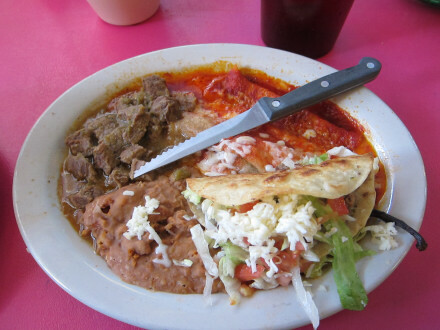 In El Paso you can make endless comparisons between different Mexican restaurants, but the main theme about the Mexican plate at Sofi’s was that everything was good. 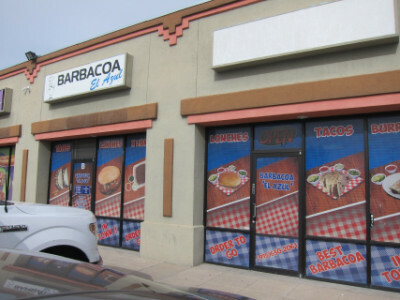 In my opinion it is a very good representation of El Paso style Mexican food. Something I found surprising was that they only had one Mexican Plate (combination dinner), just like at Good Luck Cafe. In fact, the list of items served at the two restaurants is the same, as it is at quite a few restaurants in the city. There is also enough variety on the Mexican plates that I seem to never get tired of them, even though all of these restaurants have a number of other items on the menu to order. I did not have a favorite item from the plate because they were all good, but the Deshebrada Taco was one thing I thought was significantly better than at other restaurants. If the meat had been served on bread instead of a tortilla it would have made an excellent roast beef sandwich, with very flavorful roast beef like the kind I have found in upscale restaurants. This really seems to be one of Sofi’s specialties. Just as notable was the fact that the taco did not seem at all greasy (although it is served with a soft shell). 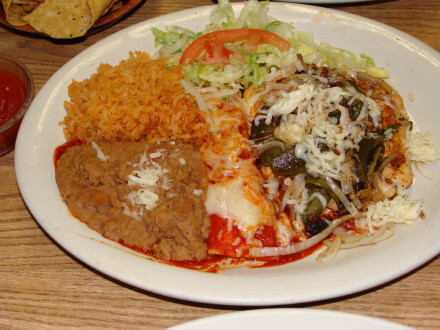 The Enchilada stood out from others because of the Mexican style cheese they used. Over several visits, though, I have found it to become more greasy so overall I cannot say this is one of the best versions of enchilada. The Chile Relleno was a little more greasy than most, which was offset by a sauce that was more flavorful than most. Overall I would say it is one of the best in the city. 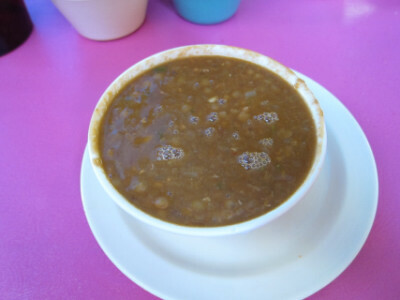 The Beans were very good but it seems that there are always some that are better (such as the ones at Chope’s in New Mexico). 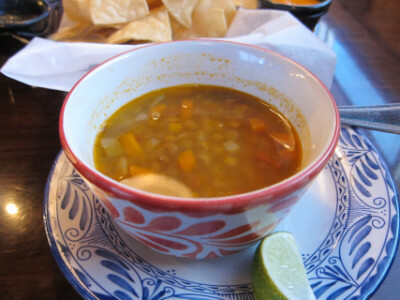 Sofi’s has daily specials for lunch on weekdays that are not only at a cheaper price than the regular version on the menu, but also come with a bowl of Caldo. 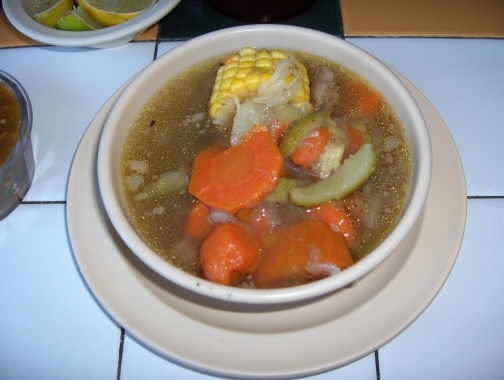 In El Paso the caldo is traditionally made with beef and comes with a generous amount of vegetables. The one at Sofi’s is very good, especially with the “generous” part. I was able to get the Mole special served on Wednesdays, which I thought was very flavorful. The chicken was shredded, which I think is the traditional way to serve it, and there was an ample amount of meat in the serving. 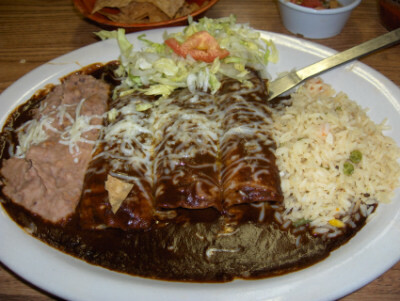 The mole is Poblano style (dark colored with a chocolate flavor). 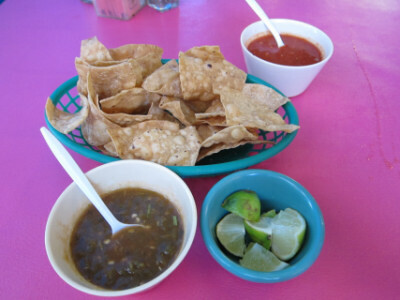 The Salsa here was exceptional, with large chunks of green chile providing much of the flavor. The Chips were exceptional as well, with a good flavor but no oily aftertaste. I came away with a couple of overall impressions at this restaurant. One was that it is very good overall, and some items that normally do not impress me much (such as the taco) were an integral part of the Mexican plate. 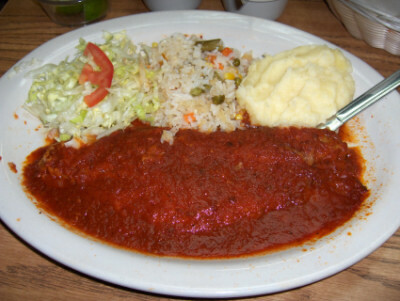 Another impression was that the cheese was the main factor that set Sofi’s apart from other restaurants, but other items such as the sauce used on the chile relleno kept any part of the dinner from being a weak link and one that would detract from an overall good experience. This is a family restaurant and has been very busy the times I have gone. I did not find the service lacking considering how many people they had to accommodate. The menu had so many items that I am sure that some of them might not be as good as the ones I tried, but on the other hand some might be better. One thing I look for in a really good restaurant is that the beans, rice, chips, salsa, etc. have the same quality as the main dishes, and I found that here. I do need to note that I have downgraded the rating from my earlier visits because of an increased greasiness in some of the items. It is still one of my favorite Mexican restaurants, though. 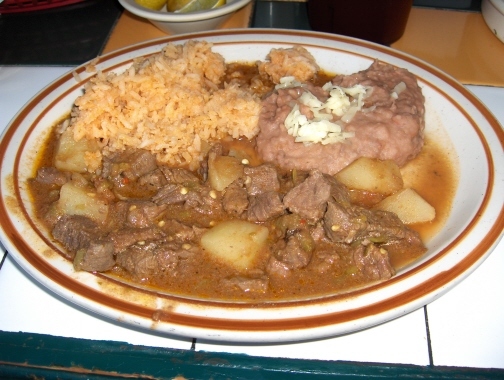 For years I have been going to El Rincon de Cortez on Sun Bowl Drive, but I finally made it to the smaller restaurant in east El Paso on Viscount Boulevard (located near Cielo Vista Mall and behind The Fountains at Farah). As far as I can tell they have the same owner and the same menu, and as far as I know the food is very much the same at both restaurants. I believe you can look at my review of the Sun Bowl restaurant and see what might be good at this one, although this review is only for what I have tried at the Viscount location. I will put things in a nutshell and say that overall I thought what I tried on Viscount was better than at the Sun Bowl restaurant. At the same time, though, this could have been a one-time fluke or a case of certain cooks being on duty, and I am certainly not ready to declare one of the restaurants better than the other overall. The chips and salsa were both excellent, although the heat level of the salsa was so high that I might say many would like the salsa at the other restaurant better (and I think I prefer the other one as well). I would have to go more times, though, to know whether this was a pattern or just something on the day I went. The chips here were quite good (perhaps better than at the other restaurant). The Huevos Rancheros are the only thing I have tried, and the only thing I can compare to the other restaurant. 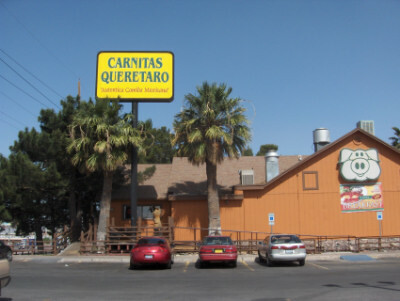 The short answer, though, is that I liked this better than at the Sun Bowl location. The egg was cooked just the way I like it, and I thought the cheese sauce was more flavorful. This is definitely one of the top versions of huevos rancheros in El Paso. The Hash Browns were excellent (as they were at the other restaurant). The beans seemed to be noticeably better here than on Sun Bowl. At the other restaurant I thought the steaks and meat items were good for lunch or dinner, and probably the same is true here. I do not know how popular breakfast is at the Viscount location because I came at lunch time but ordered a breakfast item (this restaurant seems to do a fairly good business at lunch time as the other one does). 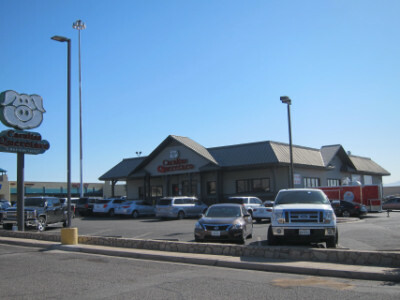 The Sun Bowl location is larger and I am sure is the more popular of the two restaurants. I think I can safely say, though, that the food on Viscount is very comparable and perhaps even better than on Sun Bowl. I certainly had a very good experience here. 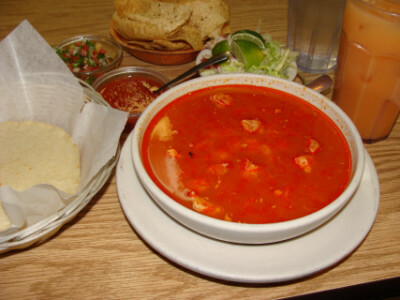 El Rincon de Cortez is a favorite lunch hangout in the UTEP area, located near the Sun Bowl on a street that is quite busy on game days and when classes are in session, but otherwise would not be called one of El Paso’s main drags. Instead, it seems that word of mouth brings consistent business to this modest restaurant. 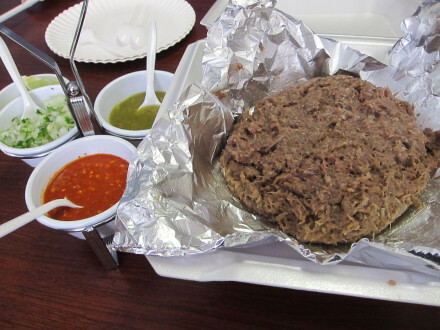 With a second location now on the east side of El Paso, El Rincon de Cortez remains a favorite place to order Mexican steaks (in fact, I usually think of it as the place for Chihuahua style steaks). 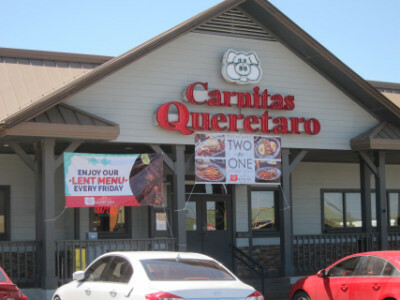 In the 1990’s I had the opportunity to visit the city of Chihuahua and go to one of the city’s most famous steak restaurants, so I have some point of reference for this type of cuisine. 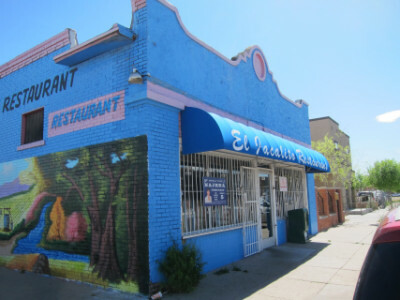 I do not think El Rincon de Cortez uses cuts of meat that are quite as good as I experienced in Chihuahua, but they are good nonetheless, and El Rincon offers so many good items to go with the steaks that it is a very worthwhile experience. The menu at El Rincon has a wide variety of items so that it is not exclusively a steak house, but I think the steaks are what set it apart from most other restaurants. 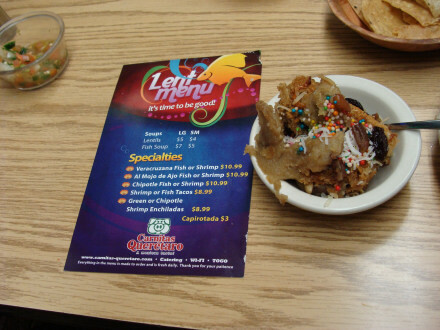 Chips and salsa are provided to each diner even before an order is made, and both are very good (but I think the salsa is particularly notable). Most of the most popular steaks at El Rincon de Cortez are rib-eyes with different Mexican style toppings. 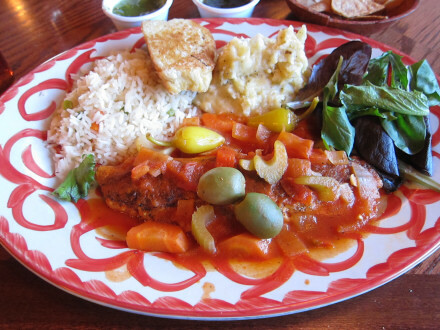 The Tampiqueña Steak is one of the best, with a tomato, pepper, onion, and Mexican style cheese topping that is hard to beat. The Guacamole that comes with it is the only aspect of the dinner that I think could use some help, but the rice and beans were delicious. The Red Enchilada that came with the tampiqueña steak had a strong, earthy red chile flavor (as I have usually found it in northern Mexico), and was quite good. 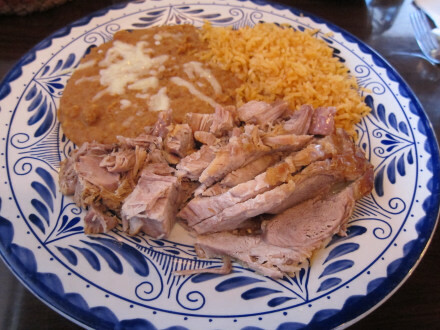 I used to order the Chuleta Mexicana on a regular basis, and found the meat a little tough but the flavor delicious. This is a rib-eye steak topped with tomato, pepper, and onions, with guacamole on the side. I think they might add some extra seasonings to the meat to give it a different flavor from the tampiqueña–I thought it had a more distinct taste than simply omitting the cheese that is on the tampiqueña. 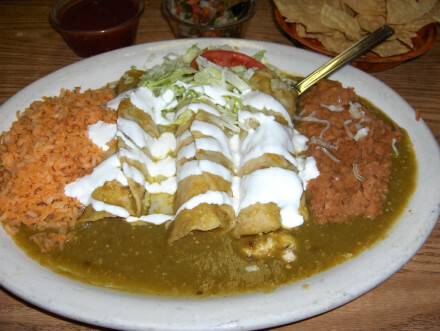 I thought the Chicken Flautas were some of the best in El Paso, despite the fact that the guacamole was mediocre. The shell was cooked to just the right crispiness, and the white meat chicken chunks were very fresh. They are not stingy with the sour cream, as is the case at some restaurants. 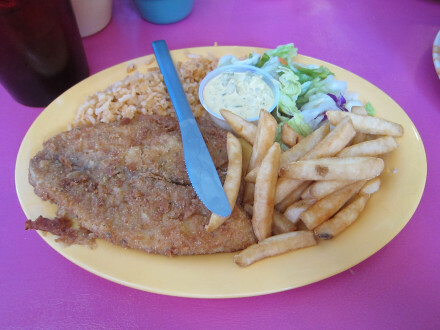 Even though El Rincon is famous for its steaks, it seemed that the chicken was even better in terms of meat quality. 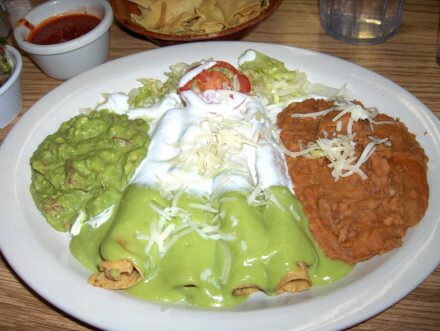 Huevos Rancheros come with very spicy green chile, a pool of queso, but no salsa other than the green chile. I think this is an excellent version, and one of the best in El Paso. The cheese sauce is what really separates it from others (I am not normally a big fan of cheese unless it is especially good, as I found the one here to be). The Hash Browns were excellent. Unlike other refried beans I have had at this restaurant, these could have been better. My conclusion is that there is quite a bit of variation in the beans according to the cook, and possibly the time of day. A good selection of tacos is available, and I imagine they are as good or better than the steaks. 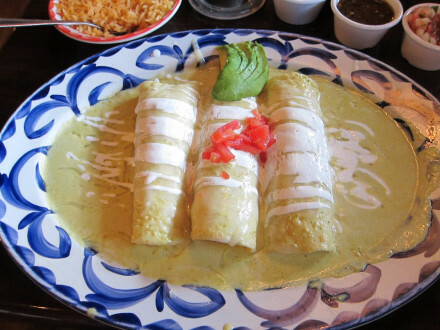 If you want vegetarian Mexican food, though, I think you are out of luck at El Rincon de Cortez (the cheese enchiladas do not have meat, but I would not be surprised if they are made with lard). 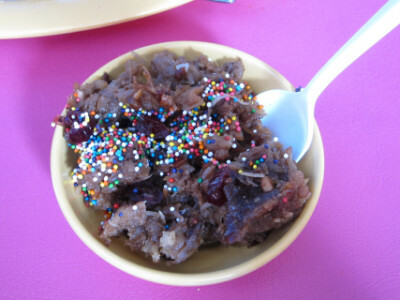 My comment about the lard would apply to the beans as well (the non-meat breakfast items come with beans). The Horchata was possibly the best in El Paso. It had a creamy texture, was well flavored with cinammon, and was not too sweet. It would really be worth ordering just to get an idea of how a good horchata is supposed to taste. Prices are moderate, and I do not believe they use bad cuts of meat but they are not the most expensive either. It certainly gives customers the type of experience they would have in a family style steak restaurant in northern Mexico. It also allows people to have a good steak without breaking the bank. Breakfast is the only time I have seen the restaurant packed with people, and obviously this is a very popular time for people to come. Other than the good flavor, what I like about breakfast is that it is not too expensive and I do not get so much food that it is then hard to enjoy lunch.